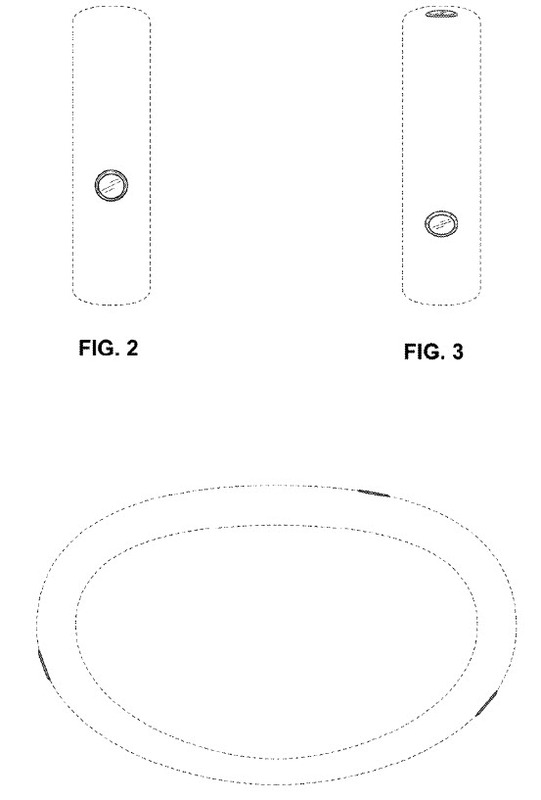 This design patent shows off a camera mounted on a bracelet. It doesn’t tell us anything about the camera beyond showing off the design of the camera. I looked for profiles of the inventors listed on the patent, and I think the ones I found may be the ones involved in the creation of this design (though I can’t be completely certain). There does looks like there is some hardware design involving cameras among the skills in the profiles I found. We will have to keep our eyes open for news of a camera like this potentially made by people building things like the cameras built for off street views of Street Views – It’s possible that this camera could be a way of indexing the world, like street view cameras are, rather than a consumer product. It’s hard to envisage where all this will end…We’ll all soon be walking around with so many gadgets it will take us all our time to charge them all up, let alone leave the house to use them! Wow! It seems like the advanced devices we see on action and sci-fi are now being invented. We’ve been having spokespople from Google tell us what big fans they were of Star Trek for a few years now. like their last head of search Amit Singhal. It’s not a surprise seeing devices like this floating around. It’d be amusing to counsel a psychic or a medium on the future comings of pursuit or social promoting to have the capacity to hop the specialty before it even exists or alluded to. It’d require some ability to decipher what they say or locate a psychic, who knows the web crawler showcasing industry (intense call, would it say it isn’t? I think they are basically monopolizing any market in which they enter. If Google makes the effort to build Street Views of places like far away Islands and parks across the world, and no one else is offering those things, we are fortunate that they are making those available at no charge. On the off chance that Google endeavors to construct Street Views of spots like far away Islands and parks over the world, and nobody else is putting forth those things, we are lucky that they are making those accessible at no charge. It’s a design patent, intended to protect the design of the new technology, so it wouldn’t say much about the technology behind the cameras. This is a design patent for a product that hasn’t been released from Google yet. We may or may not see it end up being released, but we should keep an eye out for it, since it is now a possibility. How well would a bracelet camera work? I’m not sure. It could be interesting. I’m keeping an eye open to see if Google offers a bracelet like this. I’m hoping they do. Camera bracelet. Wow that’s an amazing idea. Thank you. I did end up sharing the URL in the comments, but Iâ€™m not sure that it was necessary to do that either. Good to hear that youâ€™ve started becoming a regular visitor. Iâ€™ll look forward to seeing more comments from you. Thanks. Another great postâ€¦Iâ€™m trying to figure out how to repurpose some content and you just gave me some great ideas. Thanks!